LeBron James’ decision to leave Cleveland for Los Angeles is less of a sting to Cavaliers fans than the time he opted to take his talents to South Beach and team up with Dwyane Wade and Chris Bosh. While that choice and his latest move to the Lakers are no doubt based on basketball decisions, James is at a point in his career when he has to consider what life will be like post-NBA. Similarly, the Cavs must now reconcile with not only the loss of one of the greatest players ever, but also a homegrown natural resource who many have come to rely on economically. Regardless of where you stand on the MJ versus ’Bron basketball debate, it’s hard to deny that Jordan and James share a similar impact on everything they touch off-court. Whatever they turn their hands to usually flourishes, and what they leave behind often suffers as a result of their absence. What exactly is “The LeBron Effect,” though, and is it something that can be tracked and evaluated? Read on to find out. 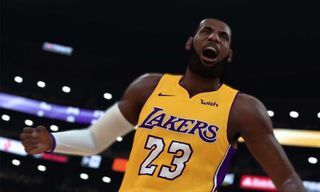 James’ four-year, $154 million contract with the Lakers certainly makes for excitable headlines and pushes him into territory no NBA player has ever seen before. He will make $35.6 million next season, with his salary rising annually to $41 million in the 2021-22 season in the final year of his contract. In terms of pure NBA earnings, James’ 19 seasons as a professional until the end of this latest contract will have earned him a record-breaking $387.2 million. For context, Kobe Bryant earned $323.3 million in his 20 seasons and Michael Jordan earned $89.8 million over 15 seasons. Due to the timing of when he joined the league and his on-court success, James’ record might never be broken regardless of inflation. In an era of bloated, guaranteed contracts for athletes who rarely live up to expectations, the Cavs, Miami Heat, and now the Lakers might actually have copped a bargain when you consider what James is really worth. The year before Cleveland drafted James, they were dead last in terms of average home attendance, some 9,000 fans off top team Detroit. Four years later, they were in the top three, having gained those extra 9,000 home attendees. When he was with the Heat, the often-mocked South Beach fans were always top five in average home attendance. Upon James’ return to Cleveland, the Cavs sat second, just behind the Chicago Bulls, during the entirety of James’ second spell. Whereas the Bulls’ reign as attendance kings since 2009-10 suggests a dedicated fan base, it’s clear James’ own brand of excellence can drastically change ticketing supply and demand. Last year, the Lakers were 10th in attendance, with a home average of 18,934 fans, not far off the Staples Center’s 18,997 capacity for Lakers games. If you multiply last season’s $299 median ticket price for Lakers games by last season’s average home attendance, the Lakers earned approximately $232,111,906 from their 41 regular season home games last season. But if prices for the home opener were to become the norm, and we assume that the Lakers will have a 100 percent home attendance this season, that figure could go beyond $424,487,965. During the Showtime era of Magic Johnson and Kareem Abdul-Jabbar and the reign of the Black Mamba, Kobe Bryant, Lakers’ courtside seats were as hard a ticket to come by as any in professional sports. And although the price tag never dipped ridiculously low in subsequent years — this is Los Angeles after all — fans were able to get a better deal than ever before. With James’ arrival, the impact on ticket sales has been almost immediate. Last season, StubHub tickets for the Lakers’ home opener could be bought for as low as $60. Now, they start at $545 on StubHub. That’s roughly an 800 percent increase. As for season tickets, before the James announcement, prices on StubHub started at $3,499 each. Twenty minutes after the announcement, those same seats were $5,800 each. According to data tracker TicketIQ, the average resell ticket for James’ Lakers debut costs $1,761, making it the fourth most expensive game in the last eight years behind the 2010 NBA Finals game seven ($1,811), game six of the Finals in the same year ($1,912), and Kobe Bryant’s last game in 2016 ($2,003). 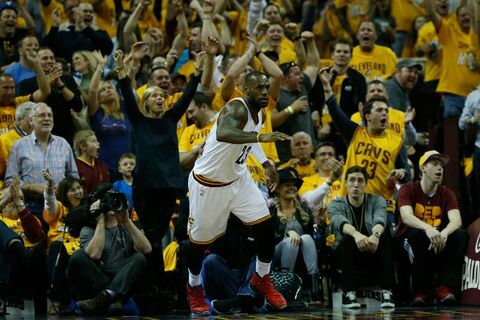 Conversely, it’s expected that Cavs tickets will be worth 60 percent less than what they were valued at last season. Even without an established star, the Lakers still sold the fourth most jerseys during the regular season last term. 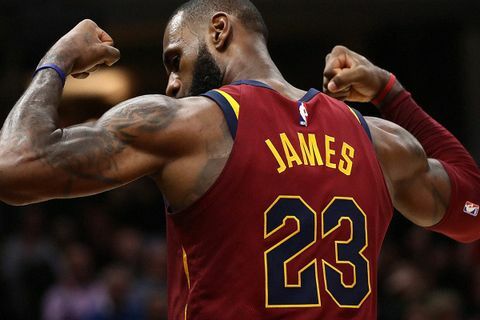 Upon James’ announcement, jersey retailer Fanatics saw a 600 percent increase in sales during a three-hour period (versus the same period when he announced his return to Cleveland) for a player who already had the second most popular individual jersey last season. Los Angeles has a population of four million people, while Cleveland has less than 400,000. 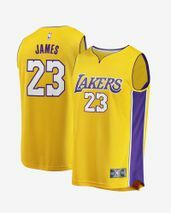 If just 5 percent of LA residents pick up a new jersey, it would equate to $14 million in sales. 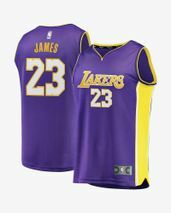 Fanatics has said that James’ signing announcement marked its single largest day in jersey sales ever for a player venturing to a new team via free agency or trade. The introduction of brand sponsorships onto NBA jerseys was a game-changer. 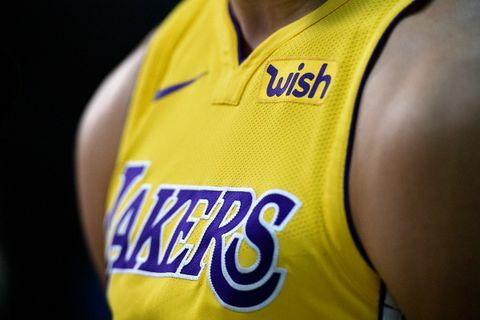 The real estate on the iconic Lakers purple and gold ultimately went to shopping app Wish, which spent a reported $36 million to $42 million for a three-year partnership with the Lake Show. 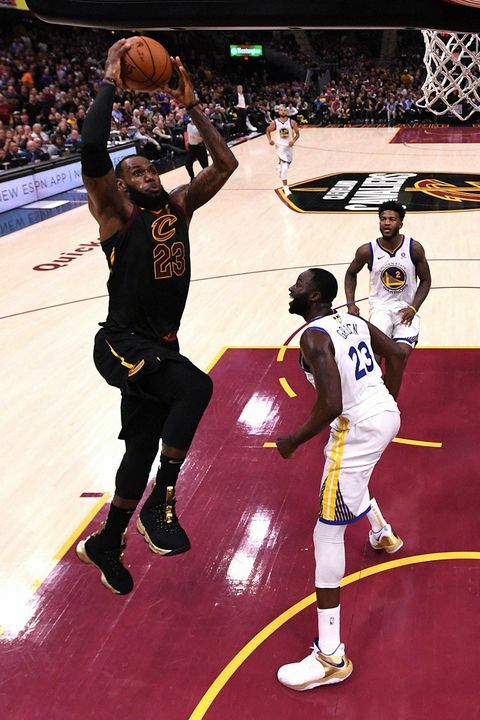 Unsurprisingly, Goodyear’s three-year, $10 million per season deal with the Cavs was deemed the most valuable in terms of brand exposure, bringing in $21 million in earned media for the tire maker last season after a King James-inspired Cleveland made the NBA Finals for the fourth year on the bounce. Even with the Lakers’ abysmal on-court record — missing out on the playoffs, finishing fifth-bottom in the Western Conference — the Wish partnership was still the fourth most valuable sponsorship last season with an estimated $5 million in social media impressions. While it remains to be seen what impact James’ presence has on Wish, it’s likely it will have an effect in the Chinese market, where the majority of the shopping app’s 600,000 merchants are. 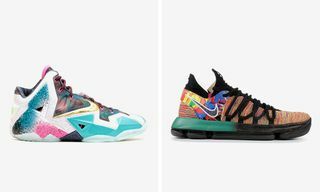 Estimates suggest that James has already made $765 million when you combine his NBA salary with endorsement deals, including a supposed $1 billion lifetime deal with Nike — spurred by the brand selling more than $300 million worth of his signature sneakers in 2012 — as well as Sprite, Intel, Kia Motors, Verizon, and Beats by Dre. In 2017, he made $52 million from endorsements alone. James doesn’t only rely on blue-chip partners either. He was an early investor in Blaze Pizza, with the franchise becoming the fastest-growing restaurant chain ever after blooming from two stores in Southern California to 200 franchises in only four years. But it wasn’t without risk. James had to walk away from a lucrative $15 million in annual endorsement money from McDonald’s to do so. 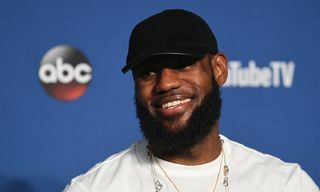 According to Forbes, when James left Cleveland for Miami in 2010, the value of the franchise dropped from $476 million to $355 million in a single year. While this was a major blow to Cavs owner Dan Gilbert, he himself was still a billionaire businessman in charge of an NBA franchise. The impact was felt much more by those on the periphery, such as the bar owners and other small businesses within a mile of the Quicken Loans Arena. Research indicates that James’ presence impacted employment by about 23.5 percent in that area. The number of establishments near the Cavs’ home fell from more than 190 during James’s first go-round to less than 170 after he left — resulting in a loss of $48 million in annual revenue — and then went back up to more than 210 upon his return. Economist LeRoy Brooks estimated James’ return to Cleveland was worth $500 million to the local economy. Prior to the announcement of James’ LA move, the Westgate Las Vegas SuperBook halted betting on who’d win the 2018-19 NBA title, MGM sportsbooks planned to close their NBA odds the following night, and the Golden Nugget refused to open betting on the NBA title due to the sheer risk involved without knowing where James would be the next season. After the dust had settled, the Lakers’ chances improved to 7/2 (second best) while the Cavs fell to 500/1. 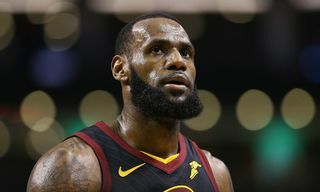 “[LeBron] means about 25 percent more handle,” South Point oddsmaker Jimmy Vaccaro told ESPN, referring to a term used by bookmakers to describe the total number of wagers made. 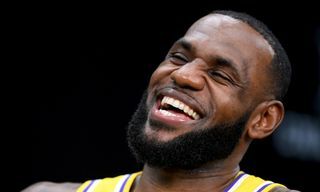 In a town that will let you bet on almost anything, LeBron James made bookmakers question if the house could actually lose. 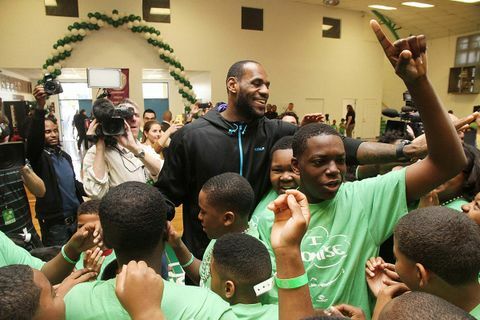 Through his LeBron James Family Foundation, James has committed to a number of philanthropic ventures such as donating $2.5 million to the Muhammad Ali exhibit at the Smithsonian National Museum of African American History and Culture, sending proceeds from his infamous The Decision TV special to the Boys & Girls Club of America, and contributing to the Children’s Defense Fund. Perhaps James’ biggest contribution comes from his “I PROMISE” program, which will cover tuition and general service fees for up to 2,300 kids attending the University of Akron in James’ hometown from 2021. At the school’s current tuition-plus-fees rate of $11,466 a year, this could cost up to $105 million. As valuable as James is to his teams and various sponsors, he’s also reaped the financial benefits of others’ success. In 2011, he received a $6.5 million, 2-percent stake in EPL soccer giant Liverpool as part of a marketing arrangement with Reds majority owner Fenway Sports Group. Based on the English club’s current $1.6 billion valuation, buoyed by its $100 million award for advancing to the final of last season’s Champions League, James’ small piece of the Reds is now worth $32 million. 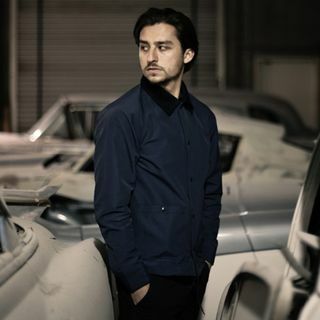 Through his SpringHill Entertainment banner, James has already proven himself a seasoned player in Hollywood thanks to the four-season run of his Starz series Survivor’s Remorse, the 2016 CNBC reality show Cleveland Hustles, and game show The Wall. And that’s without mentioning his own role in Judd Apatow’s 2015 comedy Trainwreck and forthcoming projects such as a documentary on Muhammad Ali, a reboot of House Party and sequel to Space Jam, an adaptation of UK crime drama Top Boy with Drake for Netflix, and a three-part documentary for Showtime looking at the cultural impact of the modern NBA. 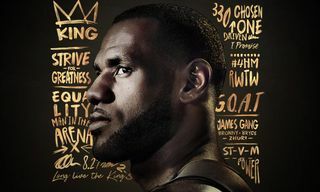 One of James’ biggest investments came from Warner Bros., which stumped up nearly $16 million to help with his Uninterrupted project, a multimedia platform for athletes that could be considered a video-based take on The Players’ Tribune. There’s the belief that James’ move to Los Angeles was inevitable once he’d bought not one but two homes in the city’s Brentwood neighborhood. The first was purchased for $21 million in 2015 and boasts six bedrooms, eight bathrooms, and nearly 9,500 square feet of living space. The second, purchased for $23 million late last year, is 15,846 square feet and has city-to-ocean views, eight bedrooms, nine and a half bathrooms, a home theater, a cigar room, wine cellar, pool, sauna, and a barbecue area with beer taps. James’ closest confidants, agent Rich Paul and business partner Maverick Carter, respectively shelled out $3 million and $3.5 million for homes in nearby Beverly Grove and the Hollywood Hills. Had James opted to stay in Cleveland, or ventured to any of the other cities he was linked to, such as Philadelphia or Houston, those places would have reaped the benefits financially in food, entertainment, and apparel sales, which all rank in the top seven of what Americans spend their money on. 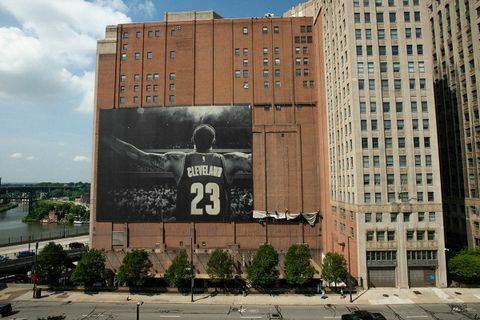 But in the City of Angels, where everything is larger than life, The LeBron Effect will be magnified. Lebron will wear No. 23 with the Lakers??? Nearly 50 LA neighborhoods have a median income of at least $90,000, with Bel Air at the top pushing $208,000. Conversely, Cleveland’s richest neighborhood, Kamm’s Corner, has a median household income of $55,300. It stands to reason that the recipe of a James-fuelled and much-improved Lakers mixed with a wealthier fan base will boost the star’s brand further. 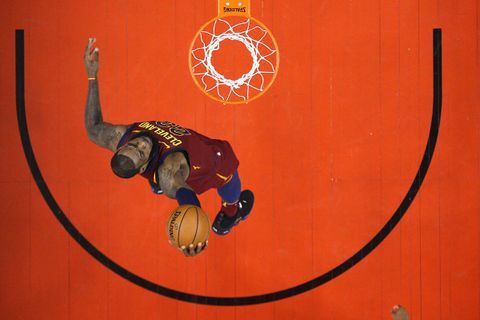 But just how much is LeBron James worth to the city of Los Angeles? Using the same methodology that measured James’ impact on the area around Cleveland’s Quicken Loans Arena, and cross-referencing that with similar establishments near the Lakers’ Staples Center, it’s estimated that James will bring in 2,989 new jobs and have a five-year local economic impact amounting to $396,985,680. 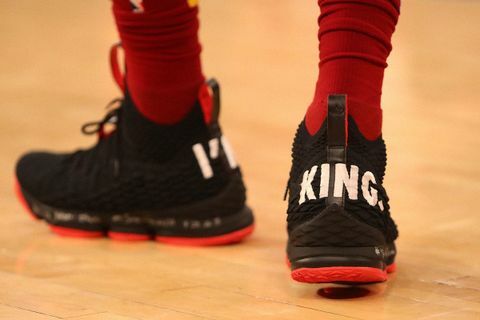 Those are numbers befitting a king. 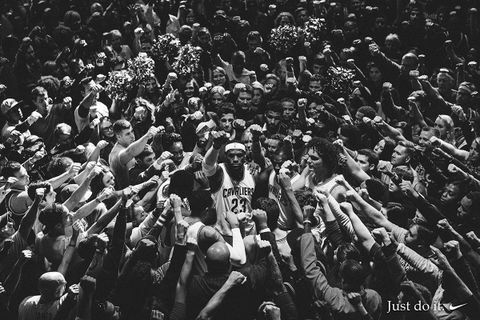 What is The LeBron James Effect?